What business owners need to know about Colorado workers' comp insurance. On August 1, 1915, the Colorado State Legislature followed in the footsteps of officials in New York, Kentucky, Montana, Massachusetts and 7 other states by passing a law requiring business owners to hold workers' compensation insurance (sometimes referred to as workmans' comp or workmens' comp). It's been on the books since. While the text of the law has changed over the decades—for example, by the end of World War II, 21 occupational diseases joined the list of covered on-the-job ailments—the spirit of the legislation has hardly changed at all. If you run a business in Colorado and have employees, you must have Colorado workers' compensation insurance. But you didn't come here for a history lesson—below we tell you what you actually need and what to expect when you buy. What is Colorado workers' compensation insurance? Put simply, workers' comp coverage compensates employees when they're hurt on the job or can't perform their job for a period of time due to a work-related injury. In 1915, the law was designed a compromise between big business and organized labor: employees gave up the right to sue employers when hurt on the job in exchange for coverage in the event of an accident resulting in a debilitating injury. Private insurance: According to the Colorado Employers' Guide, there are over 500 private insurers qualified to offer coverage in the state. But make sure you shop around. "Package deals" may sound enticing but include hidden fees. At Cake Insure, we can usually get you a quote in less than five minutes while also providing proof of coverage whenever needed through your smartphone. Self-Insured: If your business is big, blissfully profitable and generating plenty of cash flow—requirements include having at least 300 employees and $100 million in assets—you can choose to apply to the Colorado Workers Compensation Division for a special permit for self-insured workers comp' coverage. Public sector groups and trade associations can apply for the same privilege. Just be aware you'll need to maintain plenty of available capital to cover claims, and state regulators will be watching to ensure that you do. Who needs workers' comp in Colorado? Colorado requires that all businesses carry workers' compensation coverage as soon as they have an employee working in the state. Every employee in your company should be protected by your workers' comp policy. 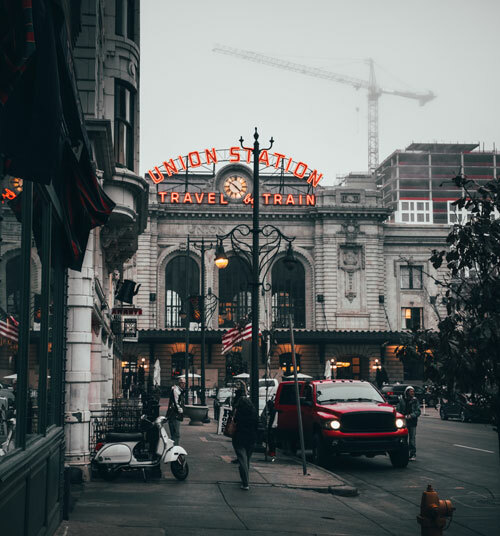 However, there are a few exceptions in Colorado, such as independent contractors, sole proprietors and working partners. Others exemptions from Colorado workers' comp coverage include licensed real estate agents and brokers who work on commission, ski area volunteers and those who provide "host home" services. Read the full act for details. What are the rules and requirements for Colorado workers' compensation as set forth by law? While there's a lot of legalese in the documents that govern workers' comp policies, there are a few crucial guidelines you'll want to follow. Here's the most important: failing to obtain and keep active workers' comp coverage can cost you up to $500 a day in fines. Don't wait to get covered. Whether you self-insure or use an insurance carrier, your responsibilities go well beyond paying for medical care. Employers or their designated insurance carrier should also provide a list of at least four capable physicians to see for treatment to every injured employee within seven days of their getting hurt. Though acting immediately to care for your workers is always best—and more likely to inspire the loyalty you want in a workforce. In addition, Colorado law requires you investigate every accident, report on it in what's known as the "Employer's First Report of Injury" form and report to your workers' comp insurance carrier within 10 days. Finally, regulators expect your business to maintain a safe working environment and post notices to advise employees of their rights if hurt on the job. Too many reported injuries could draw attention from the state Occupational Health and Safety Administration (OSHA) or the Mining Safety and Health Administration (MSHA). How is the cost of Colorado workers' calculated? Rates vary depending on how much you've already paid in premiums plus payments of unemployment benefits to former employees. Generally, though, your rate is based on the "chargeable wage limits" for every employee on the books. There are well over a dozen factors that can impact the cost of workers' comp coverage in Colorado. The good news? We've got you covered with an in-depth tutorial that reveals everything you need to know. You've landed at the right place. At Cake, all we do is workers compensation coverage. And we make it easy to get with an easy online app that delivers a quote in less than five minutes. So instead of waiting weeks for paperwork to "go through," you'll be covered the next day. Ready to get started? Let's do this—get a quote right now.